High-end fashion chain LK Bennett has lined up an administrator for the business as it desperately seeks funding to stay afloat. EY will oversee the insolvency if no new investment can be found, according to Sky which first reported the story. 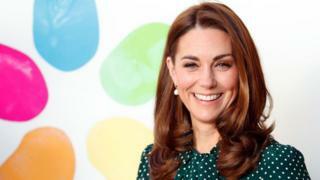 The firm, which counts the Duchess of Cambridge among its customers, has 41 shops and 480 staff in the UK with many more shops and concessions globally. Famed for its kitten-heel shoes, it was founded by Linda Bennett in 1990. Ms Bennett said her aim was to bring “a bit of Bond Street luxury to the High Street”. She sold her majority stake in the chain to private equity firm Phoenix Equity Partners in 2008, but in 2017 returned to advise the business after the retailer started to struggle. The chain made an operating loss of nearly £6m in the year to the end of July 2017, the most recent results available for the firm. The accounts show that on her return, Ms Bennett invested around £11.2m into the business. In an email to staff, Ms Bennett said she had “fought as hard as I can, with all your help to turn the business into the success that I know it deserves to be”. “These are difficult and unstable times, and we are doing everything we can to identify the best way forward,” she added. Linda Bennett is one of Britain’s most successful female entrepreneurs. She sold her business for around £70m. But founders who’ve built a business from scratch often find it difficult to let go. She bought it back again in late 2017, for a tiny fraction of the price. She admitted it was a risky move, given the incredibly challenging conditions on the high street. For any retailer, cashflow is king. I understand a key lender reduced the amount of money the business could borrow, and that a lack of credit insurance also to the problems. Serious IT issues with its website and operational systems over the summer didn’t help. It meant that Linda Bennett was having to pour more and more of her own money in to keep the business afloat. A looming quarterly rent bill and rising business rates appears to have been the final straw. Administration now seems highly likely. Will she finally walk away from her beloved business or try to turn it around in a leaner, more sustainable form? If she does, then it may be time to review its prices. LK Bennett is firmly on the high street yet often twice as expensive as rivals, but it lacks the cachet to compete with the global designer brands. LK Bennett is one of a string of well-known names suffering in a tough High Street environment. Last year, Poundworld, Toys R Us and Maplin all went bust and disappeared from British High Streets altogether. Other household names – Homebase, Mothercare, Carpetright and New Look – were forced into restructuring deals with their landlords, closing hundreds of stores. Uncertainty over Brexit, which sparked a fall in the pound and therefore raised the price of imported goods, as well as rising labour costs, higher business property taxes and the increasing popularity of online shopping have all contributed to retailers’ woes. Is Sri Lanka 'up for sale'?